Russell Watkins/ Department for International Development. Today I thought I’d talk to you about Role Models. I did a workshop about them for this lovely conference, with two very cool gangs of 11-13 year old young women. It was really great to get the chance to chat and make bracelets and talk about who we considered a Role Model and what that meant to us. 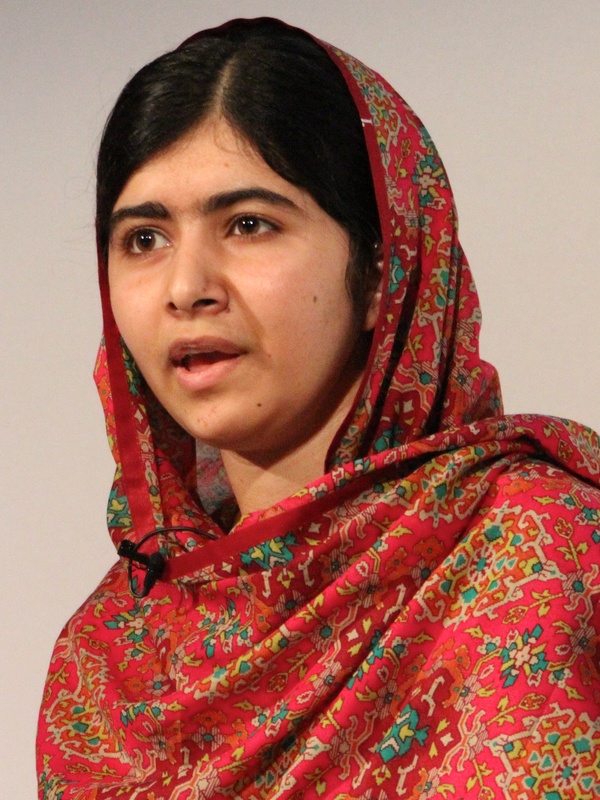 Lots of people talked about Anne Frank, and Malala Yousafzai. Both teenage girls, and wonderful writers who opened people’s eyes to terrible things going on in the world around them. We talked about Gabrielle Douglas, Ed Sheeran, Taylor Swift and Angelina Jolie. If you’re talented and you use your powers for good, it’s quite a cool way to be. Jaques Cousteau was a role model for a girl who hopes to be a marine biologist, which I thought was very cool. A lot of people talked about the Role Models that weren’t famous. One girl’s next door neighbour was a cool music teacher, and one girl really admired her dance teacher. Mums and Dads also featured heavily during our brainstorm. So basically the 11-13 years olds I talked to valued kindness, talent, a sense of justice and standing up for what you believe in in their role models? What qualities do you value in yours? Do you have any favourite role models who inspire you? Previous post ← Shiny new Children’s Book Festival – THIS Saturday! “Kindness, talent, a sense of justice and standing up for what you believe in” – that’s a pretty excellent list! It is, isn’t it? Girls are wise creatures! That’s lovely. they’re pretty excellent role models.